As we are currently saving for a wedding, we won’t be traveling overseas before our honeymoon. Thus we have been reminiscing about our past adventures, in particular our European holiday of 2009/10. One of the surprise highlights of the trip was Lisbon, Portugal. Although we only had a few days to spend exploring the city we loved every minute of it. We fell in love with the cobbled streets, the winding alleyways, the sweeping views of burnt orange and terracotta rooftops, the famous yellow trams and the daily ritual of morning espressos and patisserie treats. Although it is easy enough to discover Lisbon yourself, we highly recommend the guided walking tours around the city. Our guide was extremely knowledgeable about the city’s rich history and was able to show us many hidden parts of the city such as the “silent quarter” of Alfama where cars are noticeably absent along the narrow maze like streets, ladies shout to one another from their windows and the residents make the daily trek to the public baths to do their washing before draping it along the balconies of their terrace houses. After the tour, we were lucky enough to join the guide for lunch at one of the locals’ favourite lunchtime haunts. Lisbon is one of those places we would love to return to one day (perhaps on our honeymoon!). Combine all ingredients in a blender, add a splash of water and whiz until smooth. It has been almost a year since our last post as we have been busy working, traveling, and getting engaged. 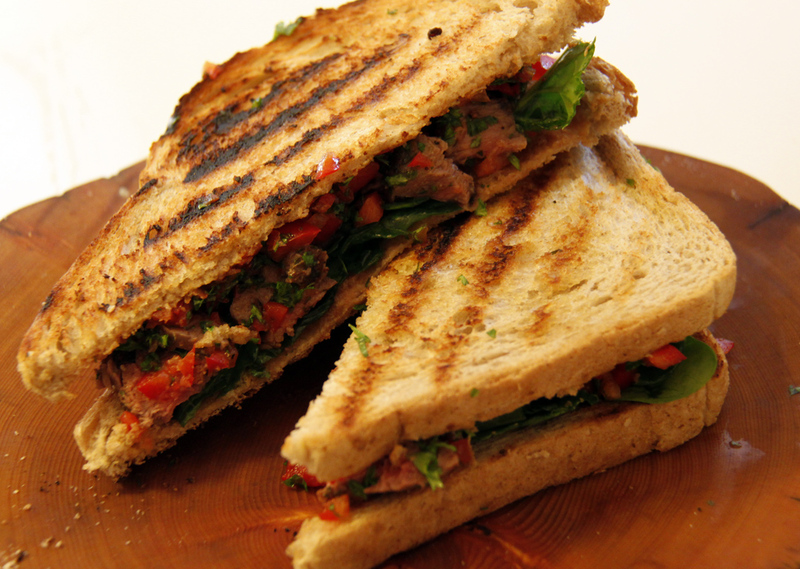 However, we have been enjoying cooking a range of different recipes. Here are a few of our favourites from 2011. We hope not to leave it so long between posts. 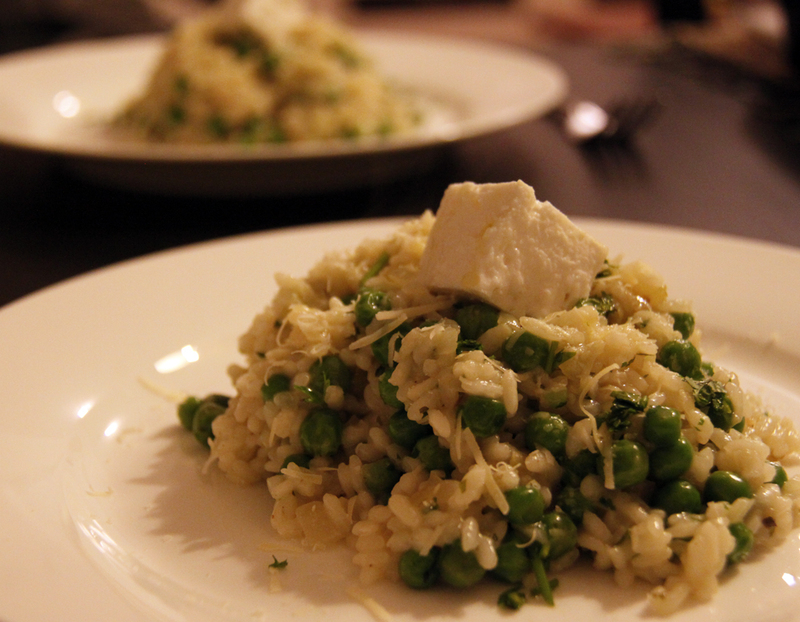 Pea & Herb Risotto from Jamie Oliver’s Jamie Does. 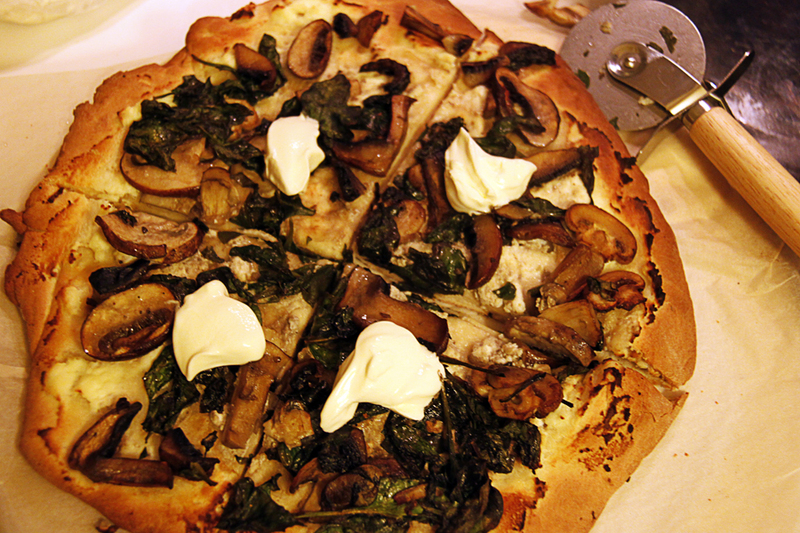 Mushroom and baby spinach pizza inspired by a recipe from our most used cook book, Valli Little’s 5 of the Best. While enjoying her holidays Jess decided, out of the blue, to do some impromptu baking. This recipe adapted from Bill’s Basics was simple to follow without too many ingredients, all of which were already had in stock. The prep took less than 20 minutes and this yummy pudding was ready after half an hour in the oven. A perfect last minute desert when friends are over; this one went down very nicely with a healthy dose of cream. The last couple of cold weekends we have been cooking large batches of soup. 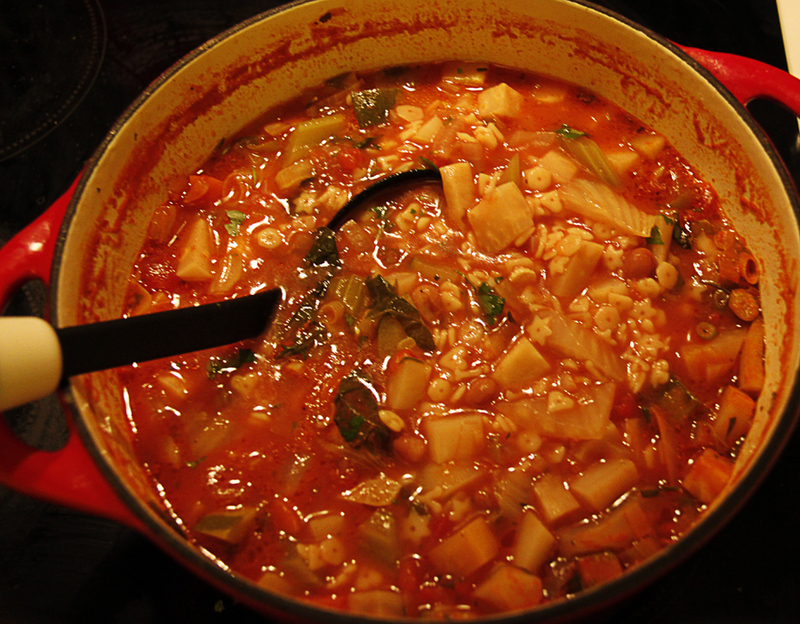 The week before we attempted a MasterChef minestrone soup; it was good, but nothing special. This weekend, we had a lot of the root veggies left over so thought we would try to create our own winter soup. 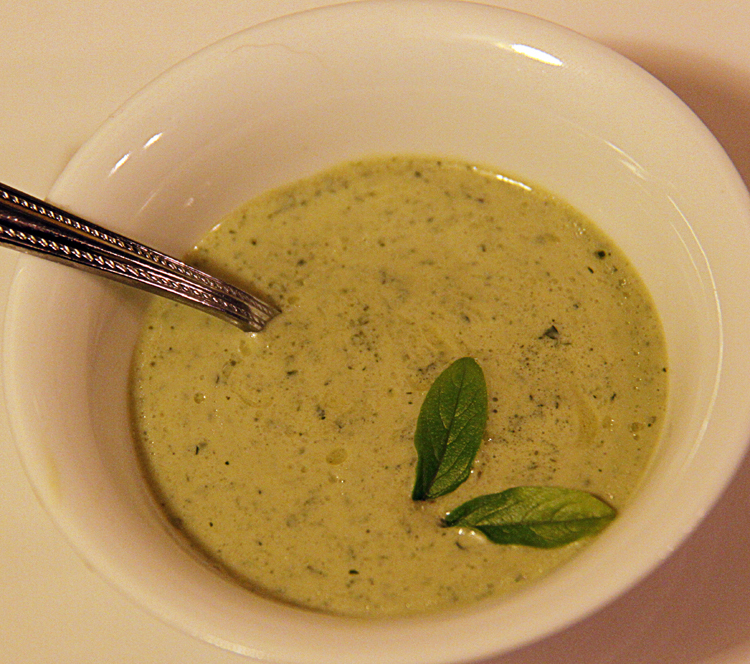 It was delicious – loads better than the MasterChef soup! The addition of cayenne pepper and pureed canneloni beans greatly enhanced the flavour and texture of soup. Serve and top each bowl with parmesan cheese. Note, a soup like this is very forgiving. The specific ingredients and amount of each really don’t matter, we just keep adding until the pot is full. 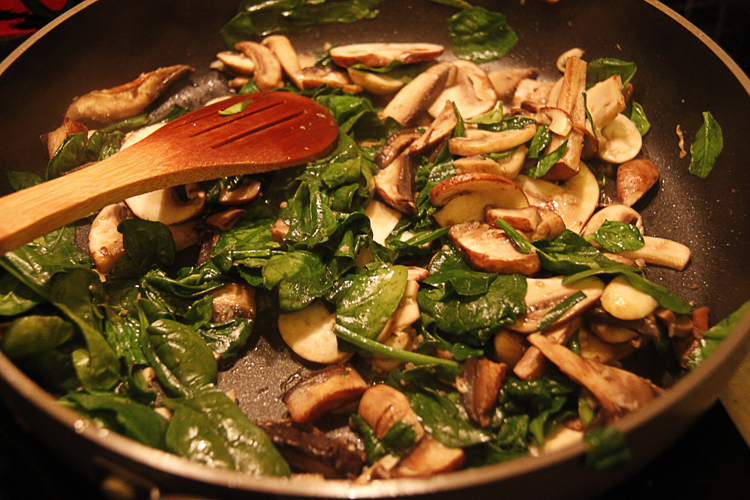 Add or replace any of these veggies with celery, zucchini, beans… If you want it to go further then add more stock. 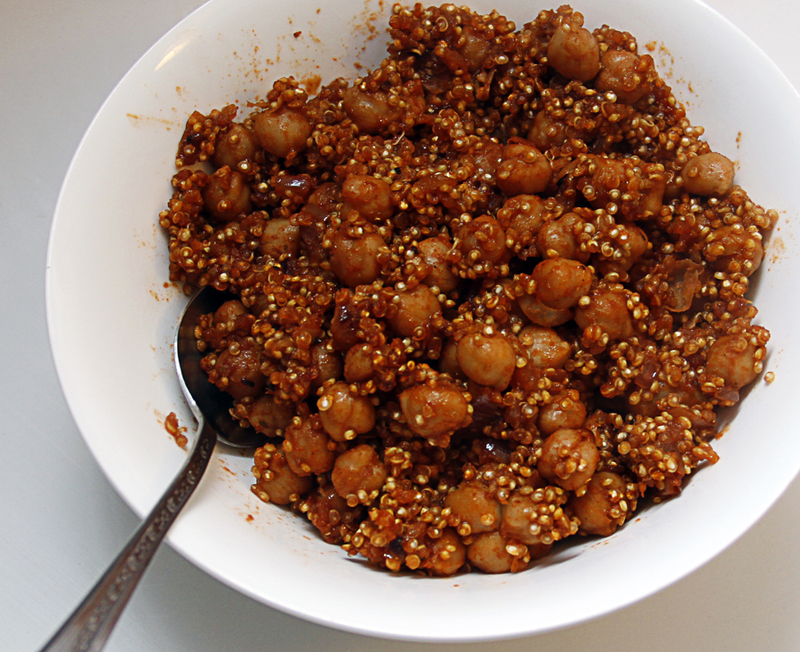 If you want it thicker, add an extra tin of pureed beans (cannellini or other). The time it cooks for also really doesn’t matter, as long as the potatoes and pasta are sufficiently cooked it will taste great. Last year Craig traveled to South Africa for the World Cup and discovered rusks! They are a hard dry biscuit that you have with your tea or coffee. They are not very exciting on their own, but are great when dunked into tea or coffee and surprisingly addictive. 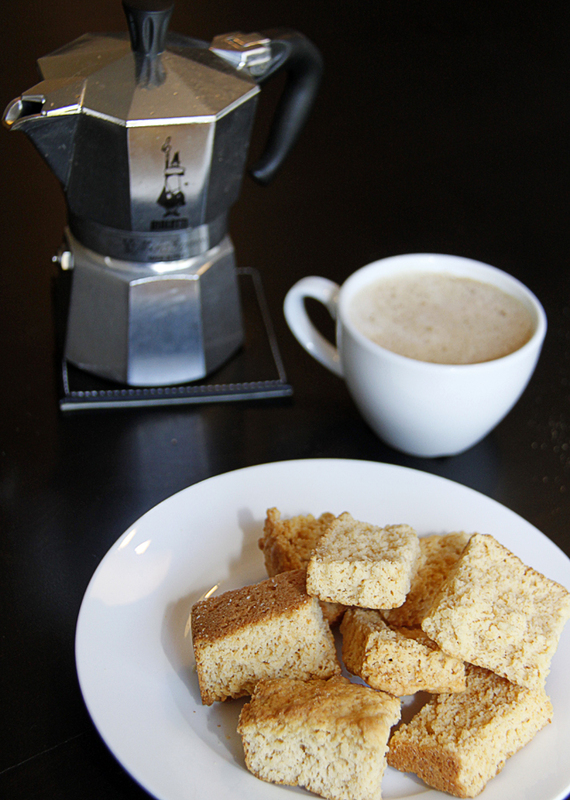 You wouldn’t always want a tea or coffee when offered, but then realised if you did have one, you could have a rusk! We have both only recently started to enjoy coffee, but so much so we bought a Moka pot to great coffee (go buy one! 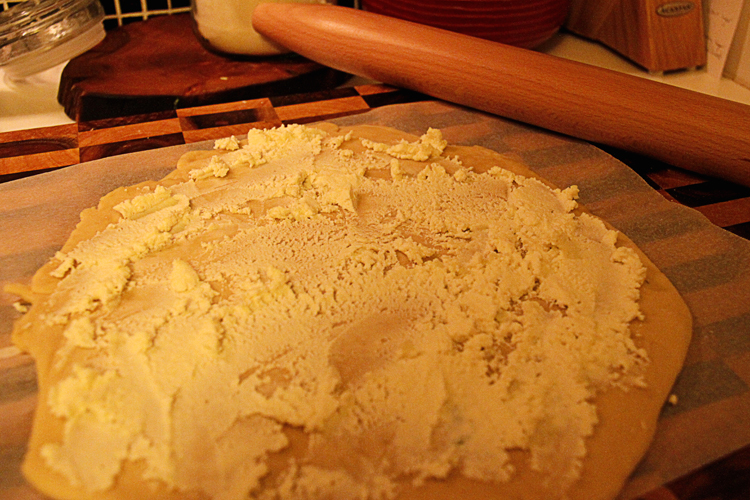 ), so it was a perfect time to bake some rusks. A friend from work, Charléne, is from South Africa, so Craig asked her about rusks, and she said her Mum is always baking large batches of them. So with a bit of persuasion, Charléne got her mum to translate their family recipe for us (Craig and Jess, not Olive Juice! ); thanks Charléne! It was relatively easy to make, the only issue was Charléne’s Mum bakes them in the oven at a low temperature over night, however our oven requires the timer to be on to operate, and the timer only goes up to 2 hours! So we had to pick a Sunday where we were home all day to keep resetting the timer. It was worth it though, with the first batch almost gone already. A friend of ours hosted a Spanish themed night where we all brought a Spanish dish to share. It was awesome! There were Spanish tapas of course, a chorizo and tomato salad, raisin stuffed pork, sangria and due to a lack of communication, 2 attempts at crème brûlée. Craig brought the sangria and the second beset crème brûlée of the night (aka the unsuccessful one!). We all agreed the night was a great success, and decided the next themed dinner would be Japanese, which neither Jess or I have tried cooking, and hardly ever eaten before either. Craig’s crème brûlée did not work out, it was far too runny and no matter how long he fired the blow torch at it, the top would not caramelise. The sangria, on the other hand, was a success and one we can recommend everyone tries. When ready to serve, add the soda water and serve.